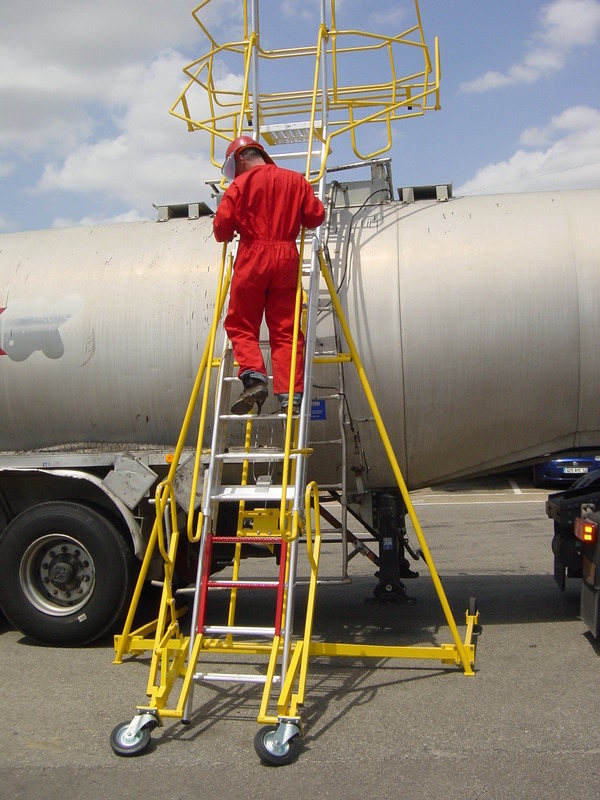 The safety mobile ladder allows the operator a quick access on the top of the tankers whilst being completely safe. It is easy to move thanks to its patented draft bar system. The corbelling guarantees complete safety for the user working on the top of the tank.